The Sweden defender got married to fiancee Maja and then impressed as his country reached the World Cup quarter-finals before being knocked out by England. 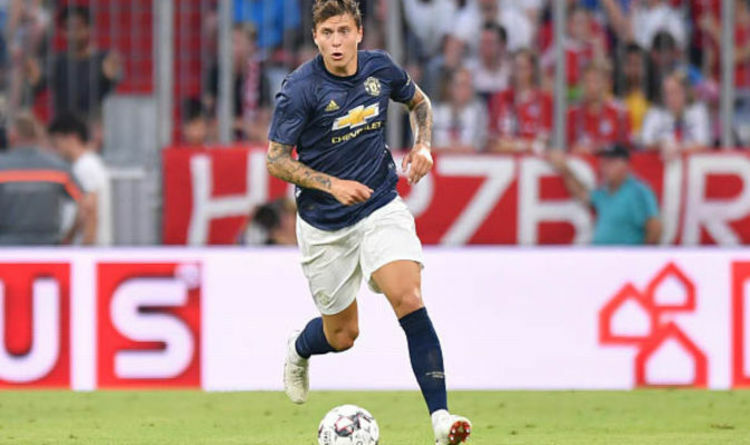 Now after a hesitant first season at Old Trafford following his £30m move from Benfica, Lindelof wants to show he can become a regular in Mourinho’s defence. The 24-year-old started the season with Mourinho’s other centre-back signing, Eric Bailly, in the 2-1 win over Leicester and wants to stay there. Lindelof, who made 29 appearances last season but rarely had a decent run in the team, says it was important United got off to a winning start. “It’s a very tough, competitive league with a lot of great teams,” he added. “Every game matters and we’ll try our best to win them all. Meanwhile, one of the defenders Mourinho targeted beore the transfer deadline, Atletico Madrid’s Diego Godin, insists he did not use interest from United to secure an improved contract. Godin says he turned down United for “personal reasons” and has not yet signed a new deal with Atletico. United were interested in adding an experienced defender before the window closed last week and put together an offer for Godin’s agent to take to Atletico. But Godin stayed in Madrid and United believe their interest was leveraged into an improved contract for the 32-year-old Uruguay international. Godin joined Atletico in 2010 and has been a mainstay of a side who won La Liga and have twice been Champions League finalists.